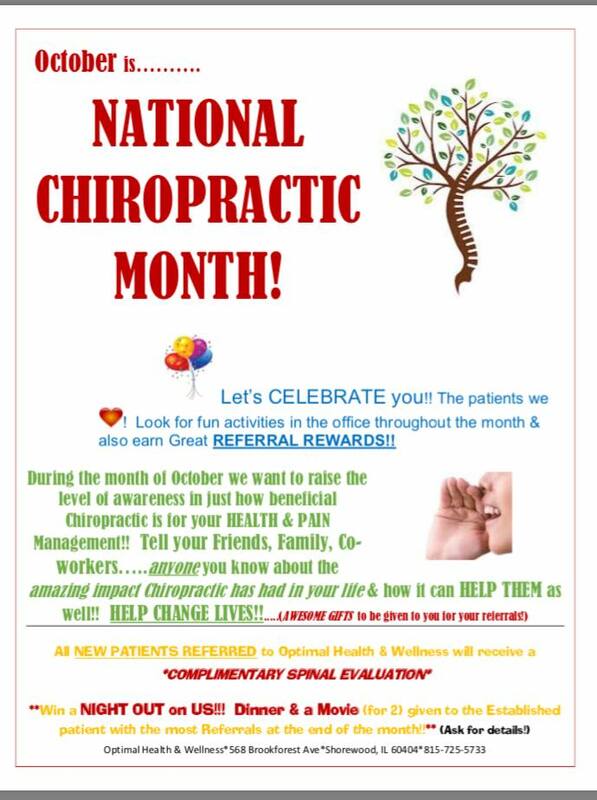 It’s NATIONAL CHIROPRACTIC MONTH!!!! SO… Let the REFERRAL REWARDS begin!!! We’re going to have lots of fun this month in the office! Share the love of wellness with us! Who is going to be our GRAND PRIZE WINNER at the end of the month?